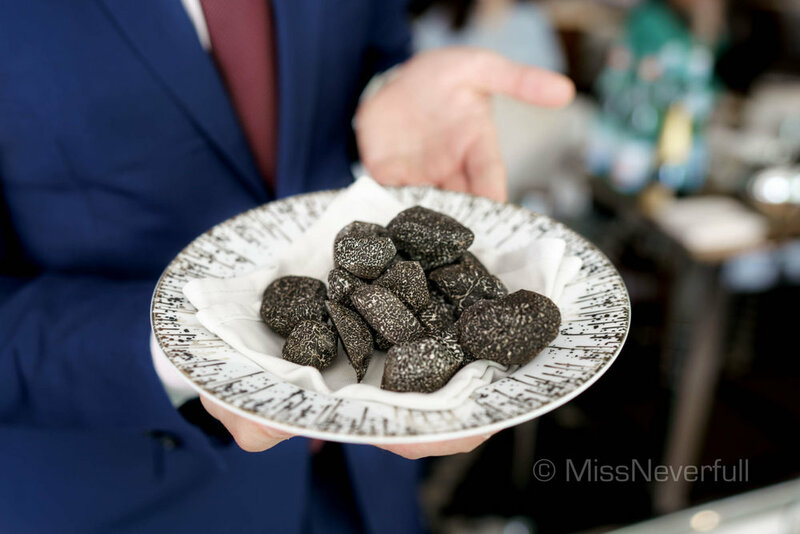 Since my last impressive truffle feast at 8½ Otto e Mezzo BOMBANA last summer (click for review) , i am back here again for the black truffle menu - available only for approximate two months since June. 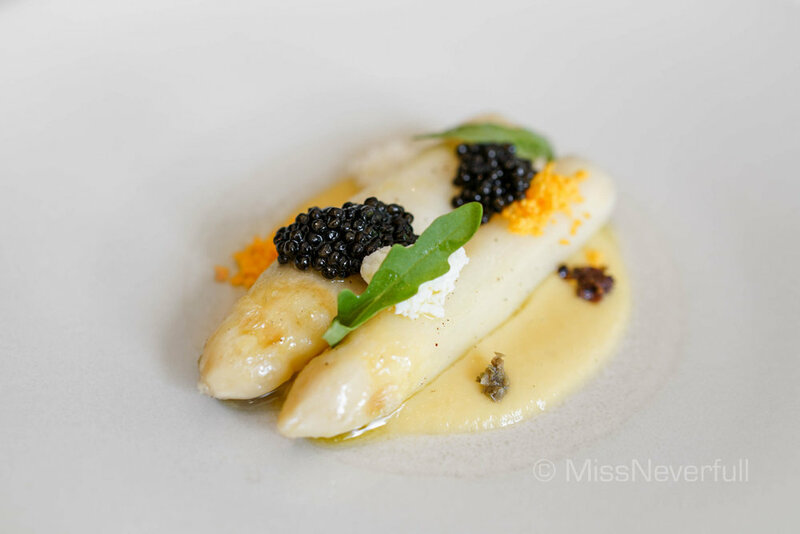 Having been award Michelin 3 star since 2012, 8½ Otto e Mezzo BOMBANA is the ONLY Italian restaurant outside of Italy to be honored 3 stars by Michelin Guide. The Chef-owner Umberto Bombana introduced Italian white truffle to Hong Kong's dining scene, and he was appointed by Piedmontese Regional Enoteca Cavour as their International White Truffle Ambassador in 2006. 8½ Otto e Mezzo BOMBANA located in heart of Central, it occupies a total of 4,700 square feet space which can accommodate up to 55 guests. 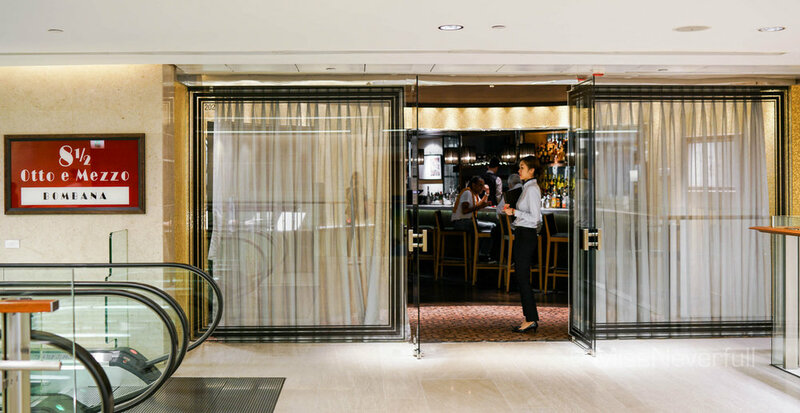 Overlooking the famous bustling street view of Chater Road, it is a top place people love to go no matter for business, family or friend-gatherings, or special occasions. Reservations are highly recommended to be made months in advance. We visited during lunch time and it was full-house. 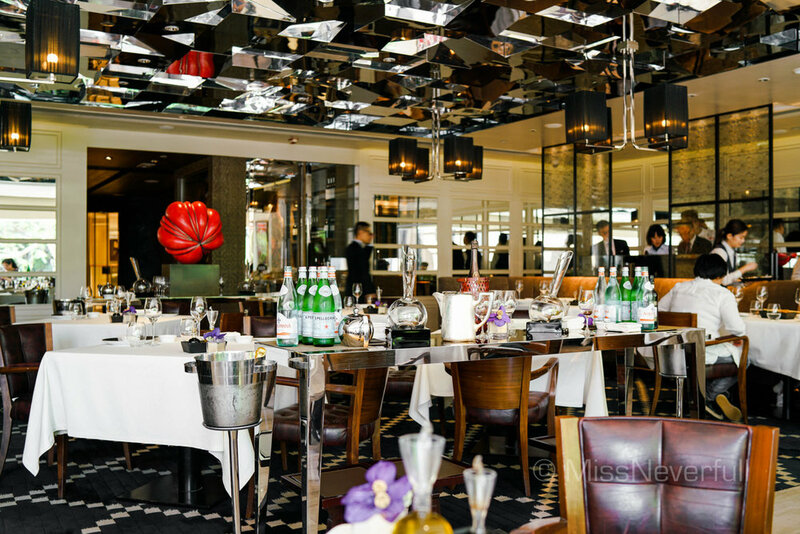 A 3-course lunch set is priced at HK$780 and 4-course for HK$1080. You may also request the full dinner menu or ordering from a la carte menu. Regarding to the black truffle menu, only a la carte dishes are available, featuring several dishes of appetisers, main dishes and majorly pasta dishes. For us, chef arranged a special menu for us which includes three pasta with black truffle upon a pre-request. Kicking off with strong bread service, side by extra olive oil and vinegar from Italy. My favourite was the tomato focaccia. The first appetiser was a small bite of roasted octopus with roasted artichoke, greens and lemon oregano dressing. Textural octopus with a aromatic outside. Followed by a seasonal warm appetizer of white asparagus from Provence, it was wonderfully seared - meaty, tender and juicy. The orange and asparagus emission works quite harmony with the naturally sweet asparagus, with a burst of umami flavours of Royal Caviar. The main character of the meal was no doubt the WA winter truffle, which was just start serving few days before our visit. Chef prepared three different pasta with black truffle for us, almost same condiments but different kinds of pasta, sounds a bit truffle-overload but we didn't feel bored of them. The first pasta dish arrived the table was my all-time favourite, a classical one - homemade tagliolini prepared with butter, parmesan, and truffle fondue on the bottom. Manager Sandro shaved the black winter truffle by our table, it smells incredible! Bombana's pasta never disappoints - cooked al dante with a buttery based which wasn't overwhelming but matches well with the truffle sauce and shaved truffle on the top. The truffle fondue on the bottom was bloody good that we cannot stop dipping the bread into! Burrata cheese ravioli, our next pasta dish, again with freshly shaved black truffle by Chef-owner Umberto Bombana. Inside the ravioli was homemade burrata cheese, every bite was pretty enjoyable. 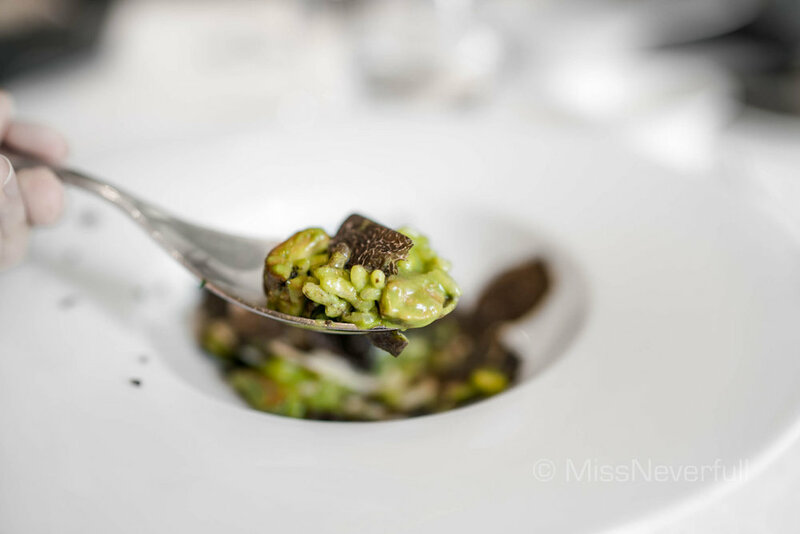 My favourite pasta dish of the meal was the mushroom risotto which was perfectly cooked, the depth of mushroom and black winter truffle emulsion was unforgettable. Assorted mushroom also gives a chewy texture to the dish - simply a mouthful of bless. Then arrived the main courses. I loved the France Brittany blue lobster in a lobster bisque and seafood emulsion. The lobster itself was succulent and bouncy, the broth gives a deep oceanic flavors. While both this lobster dish was the next beef dish were slightly over-salted for our liking. Otherwise it would be wonderfull. Two parts of the Australian beef was served - short rib and tenderloin, both were succulent and flavourful. Side with whipped potato, red wine and plum sauce. Stepping into the dessert part, the Kyoho grape sorbet was such a nice palate cleaner, the fruity flavours with a touch of sounds from the grape soup base was lovely. Side with a mini sponge cake to balance the sourness. A classical dessert at Bombana that i never tried before - a beautiful tart of cream chocolate and its puree on a base of buttery walnut tart base. The chocolate chips added a crispy texture to the delicious tart. Awesome. Wrapping up with petit fours and a cup of espresso. Featured homemade cookies, strawberry tart, hazelnut chocolate and jelly candy. The hazelnut chocolate was still a love. Thanks for the gorgeous team for another impressive meal. Upscale ambiance, impeccable service, satisfying food (wonderful pasta and truffle, while main dishes have to be improved though).